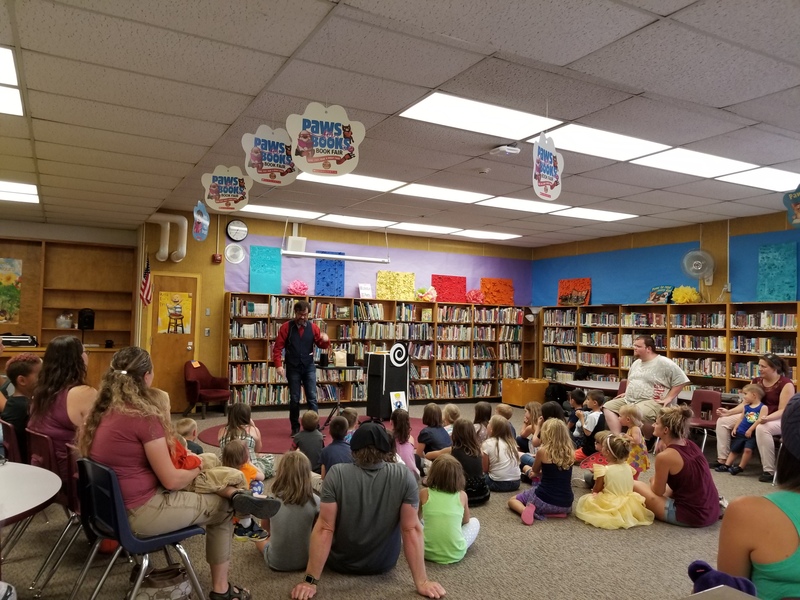 John Stevens performs a family friendly magic show full of laughter and fun. He can perform for your wedding reception, birthday party, scouting event, to name a few. Call J.W. Magic today, and see how he can start making your memories magic! So fun and entertaining ! 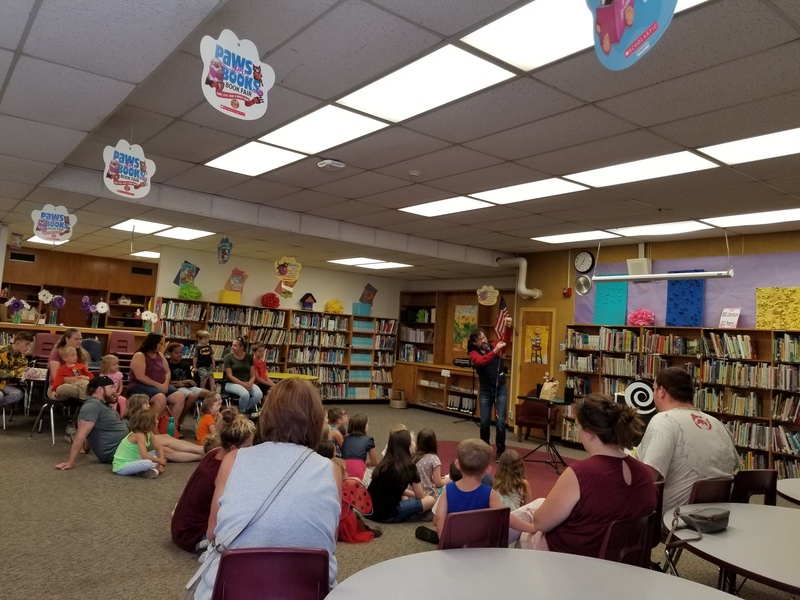 Holcomb Elementary PTA / Summer in the Library Program had J.W. come for a Free event. He was very professional and very entertaining. During the event we had kids between the ages of 2 years old to 15 years old and he was able to hold everyone's attention including the adults. He was fun to watch and included the audience in his performance. JW performed for a roudy group of 15 boys and girls attending my son's 10th birthday celebration...! 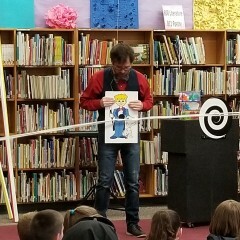 He really had them captivated, complete with the right tricks and energy to capture their imagination and attention, and he even taught them a trick at the end! He was fun, professional, and very reasonably priced... if I had another child I'd be booking him for their birthday too! Thank you JW for a fun show for us and the kids! Everyone had a good time and we got some good laughs and the antics of magic. John was delightful, funny and VERY entertaining! John performed at our annual Moon Festival celebration for the families of preschool and kindergarten students. 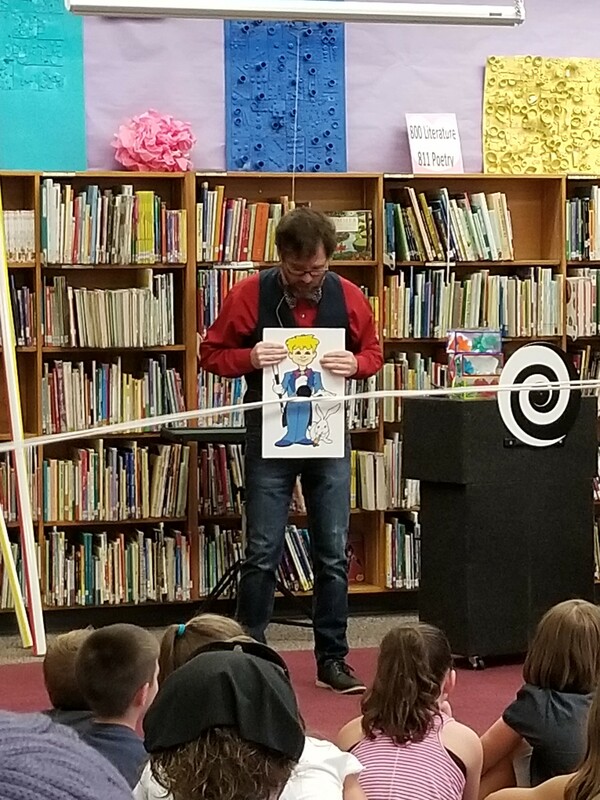 His magic and humor captivated the students and parents alike. I received many, many complements from our parents. 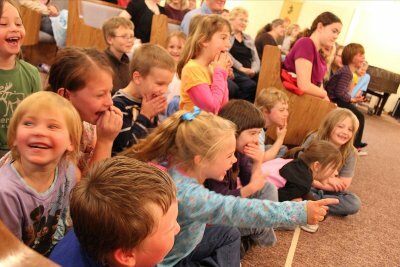 It was very apparent the students were mesmerized and joyfully engaged. I highly recommend J.W. Magic for any event! J.W. Magic is a great choice for Family Entertainment! J.W. Magic did a fantastic job for our daughter's birthday party. He entertained 15 children and provided a great show. He kept the show lively and appropriate for the audience. We would recommend him for your event. Mr. Magic was communicative and responsive leading up to the date of the show, arrived on time, and did what he said he was going to, for the time he said he would. Alright - boring part over. My 10-year-old, 25 or so of his friends (ranging in age from 5 to 15), and their parents had a fantastic time watching this show. Funny, mesmerizing, and inexplicable - this show had it all. Would hire again. John was great! very easy going and great with the kids. 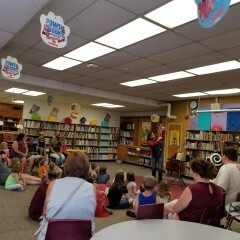 The magic show was very fun. Good time had by all. John was great fun for our twin girl's 9th birthday party. He arrived on time and set-up quickly. The girls enjoyed his tricks and his personality! We would highly recommend having John perform for your child's birthday party! We had a small group of kids and adults and everyone was amuzed and amazed! J.W. Magic did a great job at our son's 9th birthday party! John was punctual, pleasant and patient. He was great with the kids and seemed to really care that they all had a great time - and they did! His performance was impressive and funny. When the last of his friends left, the birthday boy turned to us and said, "That was great!" I think that says it all. John was absolutely perfect! 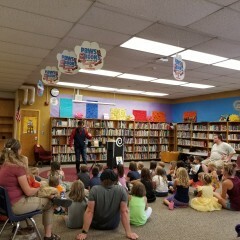 He was funny and he kept the kids engaged and waiting for more. Even the adults loved John's show. Thank you John for helping make our party better then I imagined! Great Entertainment! Made the party! John arrived early to set up and was professional and very pleasant! The kids loved the show and have been talking about it ever since. I would highly recommend using J.W. Magic to anyone for their children's party! J.W. Magic went "above and beyond" to entertain! John applied our summer library program theme (Saddle Up and Read July 20, 2011/ 328 attending) to his magic show and the result was a delightful, funny and mesmerizing show. From the moment he came galloping down to the stage on a hobby horse to the mesmerizing "eye" trick at the end of the program that had even the adults mystified. J.W. Stevens (John Warren) has been performing magic for over 30 years, with a heart for families, and for children. 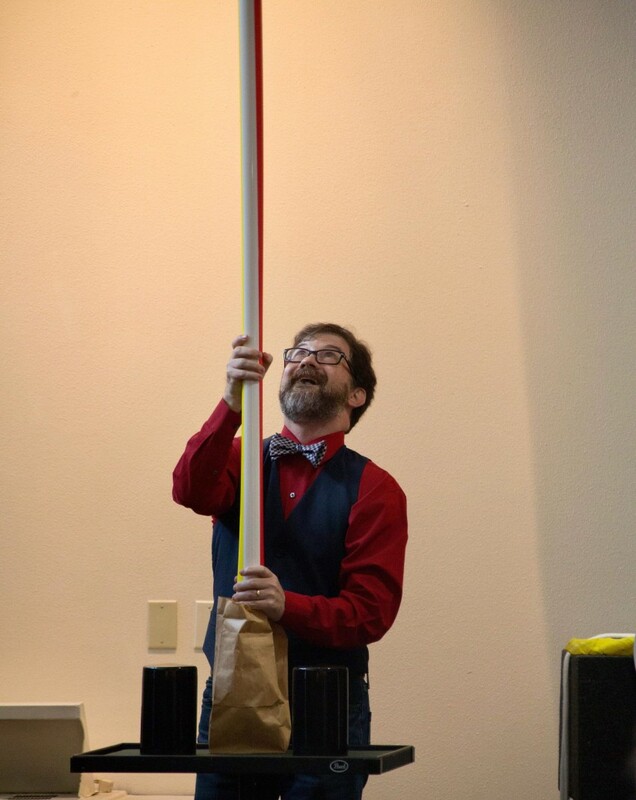 His magic is full of family friendly humor, excitement, and will leave you mystified! And yet, at the same time, you will be laughing and enjoying yourself more than you thought possible. 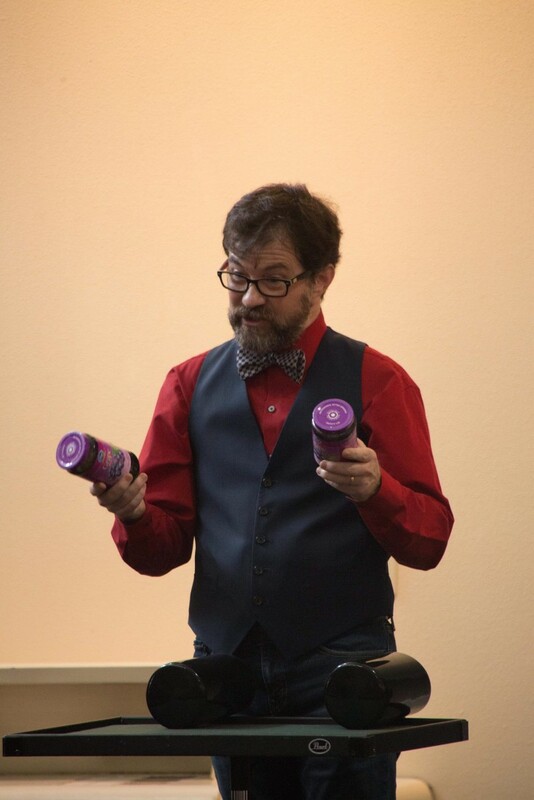 John Stevens has been performing magic for over 30 years, and has been amazing clients throughout the states of Montana, Idaho, Utah, Oregon, and Washington. He has the amazing ability to not only amaze your invited guests, but also leave you happy that you chose him to perform at your event. J.W. performs for children, and has a love of kids. His two children, who are now 14 and 17 are his greatest fans since the beginning. Book John for birthday show and see why! This is about a 30-45 minute show. J.W. can also perform at your wedding, or other events which would be in the form of walking around to tables, and entertaining guests. Contact J.W. and find out if he is right for your event!